Do not worry if there are some you cannot answer. We will need their full name (official) their home address, the date, time and where they died, their date of birth, if they had a pacemaker or implanted defibrillator, and if they had pre-planned or prepaid for their funeral. One of your main decisions you will need to make is whether the funeral is to be cremation or burial and if you want a religious, part religious or non-religious service. We will explain to you the differences or click here to see types of officiants. We must emphasize that we are here to guide you (at no extra cost) so please use our years of of expertise and experience. Some important things to think about when you are choosing your date and times for the service. Are there people attending who have schoolchildren to take and pick up from school. Are people travelling a distance to be at the service? Are there any special dates like birthdays, anniversaries, holidays, exams? Are you having a reception afterwards? A Minister, Reverend, Lay Preacher & Priest have been ordained by their church and the service will follow a clear plan. 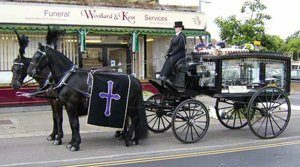 A Civil Funeral is now one of the most popular services because the funeral is driven by the wishes, beliefs and values of the deceased and their family. Are there to be flowers or donations or both? Flowers are wonderful and appropriate at a funeral with the gentle expression of remembrance that they portray, but you may have special wishes regarding flowers or donations to a charity dear to your heart or perhaps the deceased has left a specific request. Would you like to use our chapel to pay your respects? Whilst not all families will wish to do this, we have full facilities so that families and friends can say their last goodbyes. Our Chapel of Rest is tastefully designed for any member of the family, including children who may wish to visit. Should you wish to be accompanied we can arrange this through our team.